For some reason, Iowa is quite a fecund environment for blogging. Just a peek some of the blogs on the I-List gives you an indication of how offline collaboration between Iowa bloggers leads to a significant increase in online readership and quality. That same offline collaboration has now expanded to Iowa law bloggers as well. Des Moines Injury Board Steve Lombardi shares in-depth insight on all things Personal Injury and Workers’ Compensation. George Davison Iowa Law My former mentor and radio personality George Davison waxes philosophic on legalese and recent Iowa case law. It is just too bad that there is not a “warm baritone” font. Iowa Banking Law Blog A blog on Zimbabwean probate law. Actually, it is much more along the lines of what it purports to be. If you find out who writes it, be sure to drop me a line and let me in on the secret. 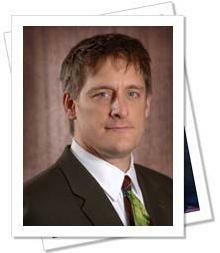 Iowa Divorce and Family Law Alex Rhoads covers family law issues from Ames, Iowa to Canterbury, New Zealand. Iowa Law Blog A fine collection of Iowa legal bloggers from the Sullivan & Ward law firm banding together to provide one of the best written, most comprehensive legal blogs in the country. Victoria Herring Your guide to the Apple/Mac practice of law. Wealth & Estate Planning Another Sullivan & Ward conspirator tells you everything you need to know about where to bury the bodies. The great thing about these law bloggers is that in addition to being great attorneys, they are great people. The same motivation that prompts them to blog on a regular basis is the same motivation that prompts them to build relationships and collegiality within the legal community. Drop by some of these blogs and check out who is doing their part to knock down barriers in the legal profession for colleagues and clients alike. Posted in Iowa Law. Tagged with Iowa.